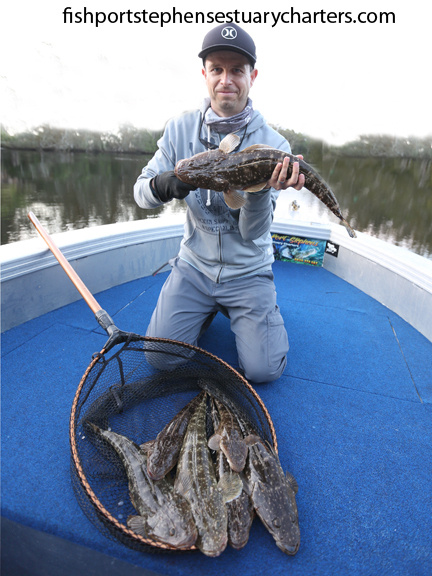 With a afternoon free I decided to sneak out for a quick flatty fish and scored this absolute cracker of a lizard. 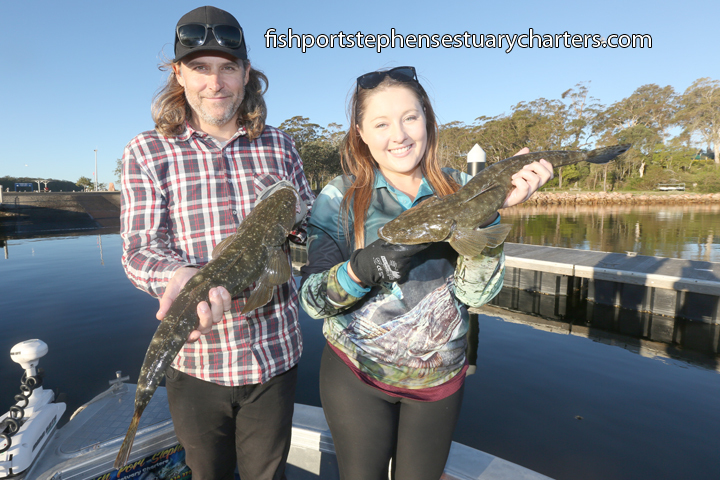 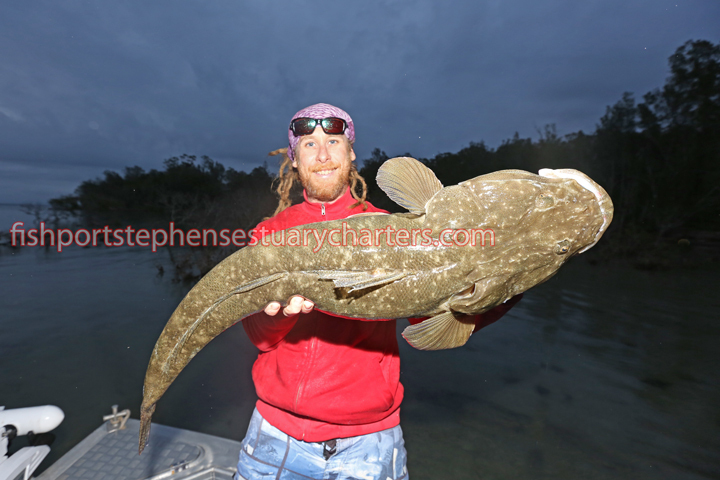 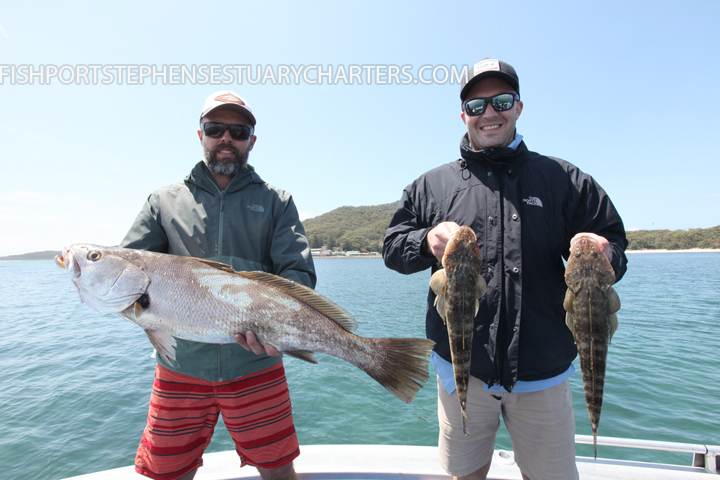 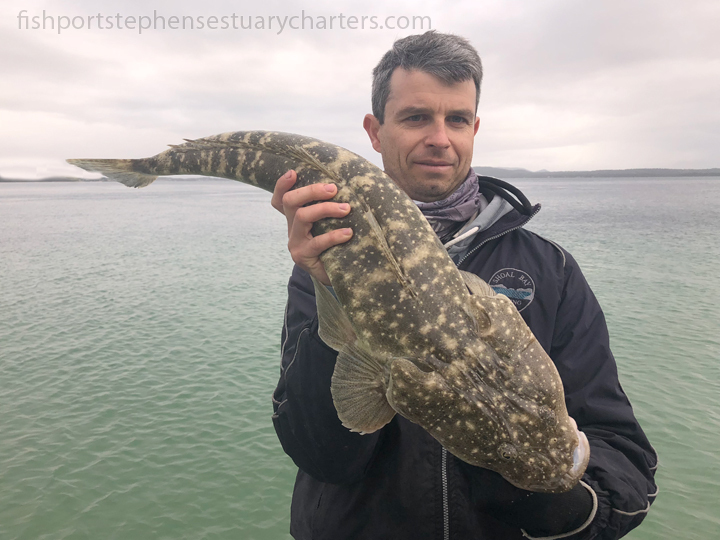 This is my 2nd fish now over 1m and it just goes to show how good a fishery Port Stephens is for big dusky flathead. 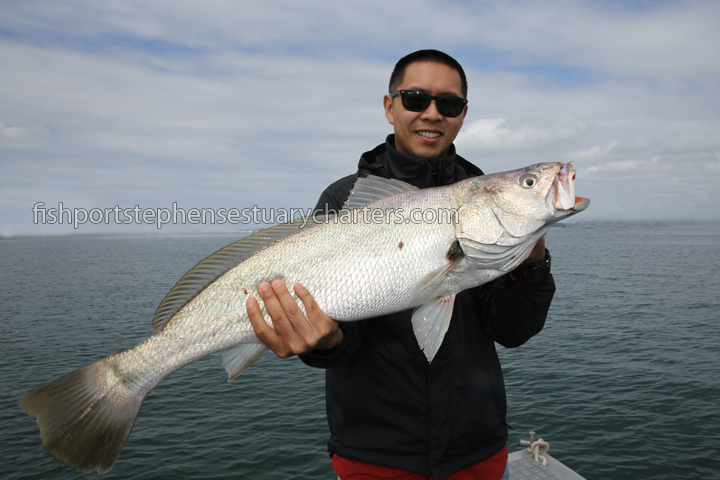 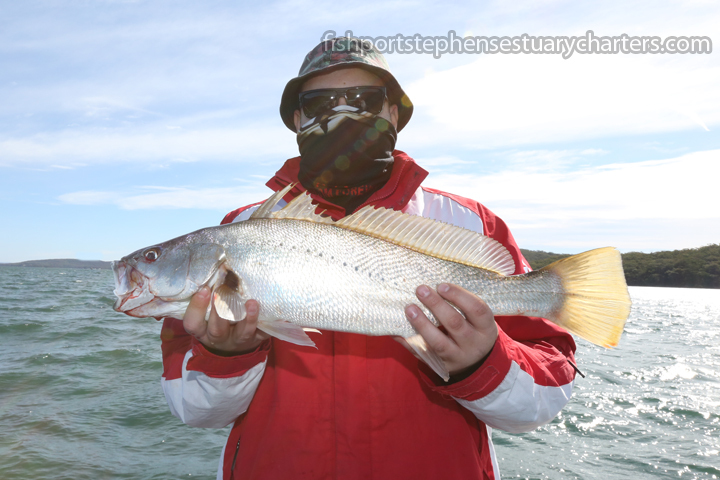 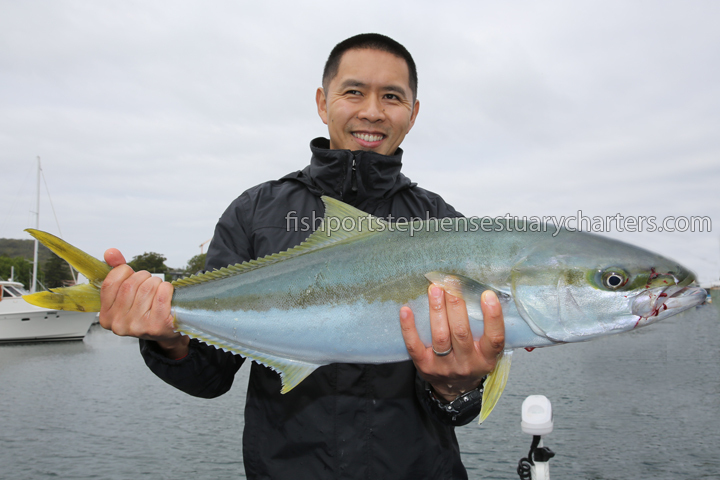 Battled some weather with Daniel but scored a bunch of flattys including this 80cm model. 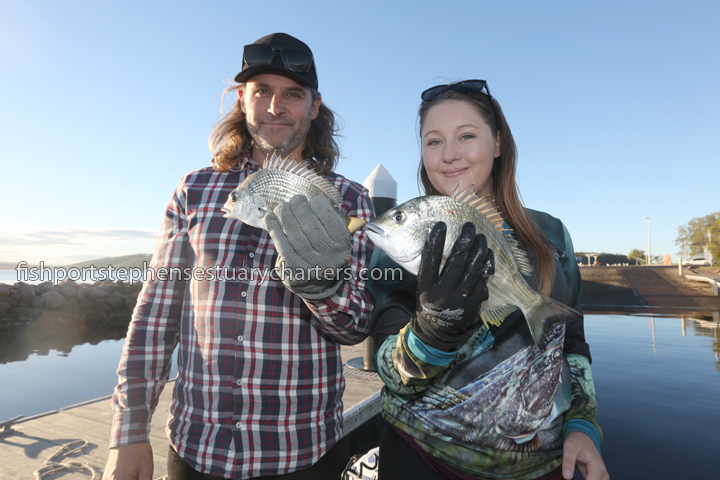 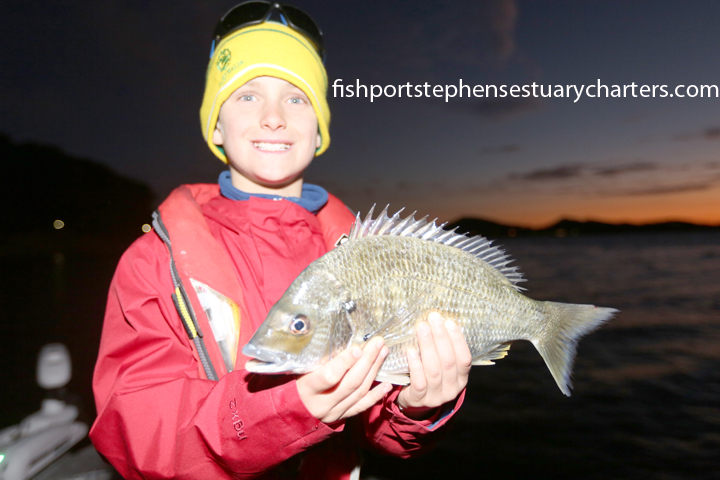 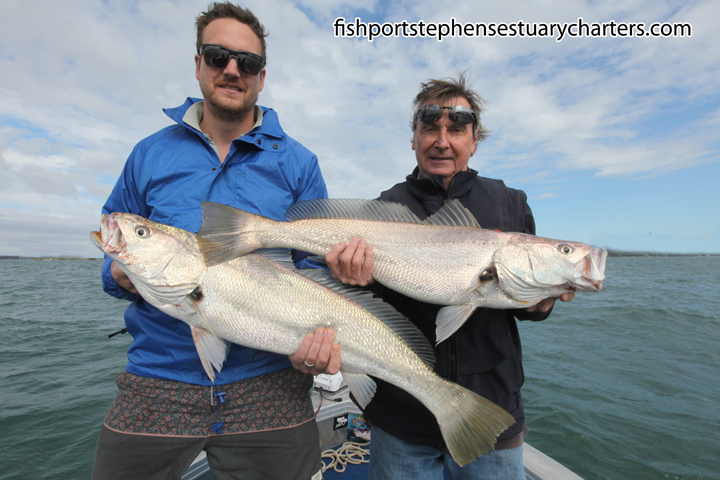 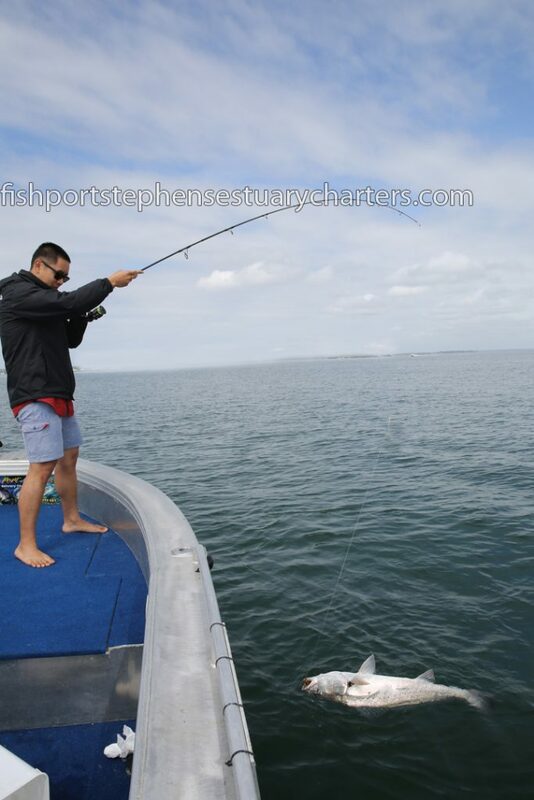 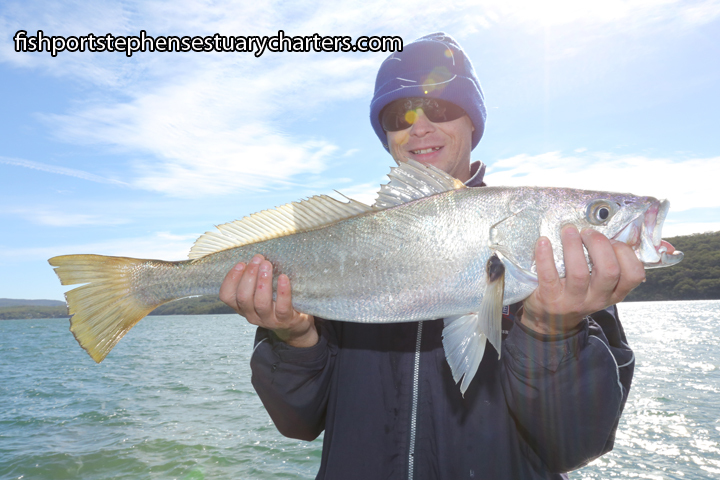 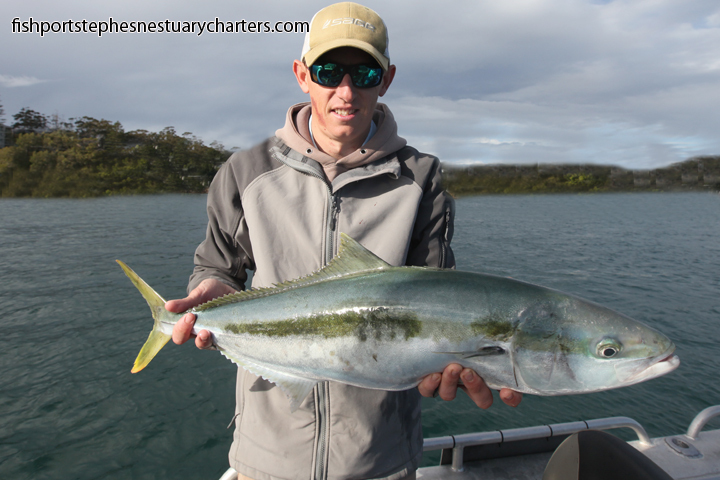 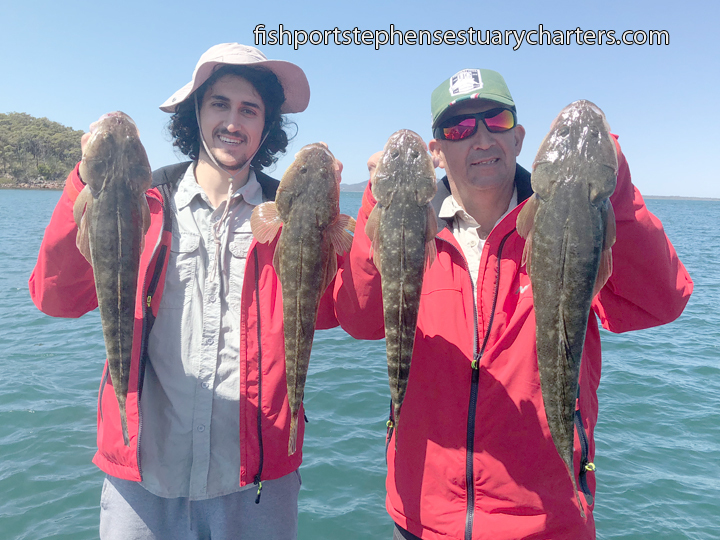 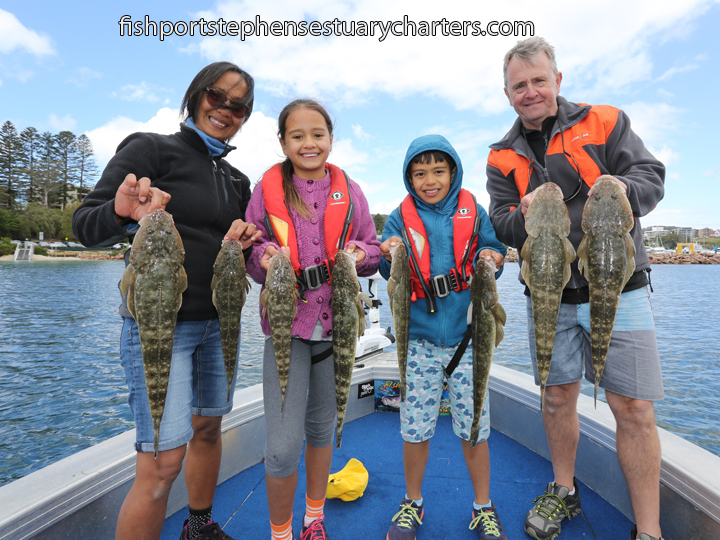 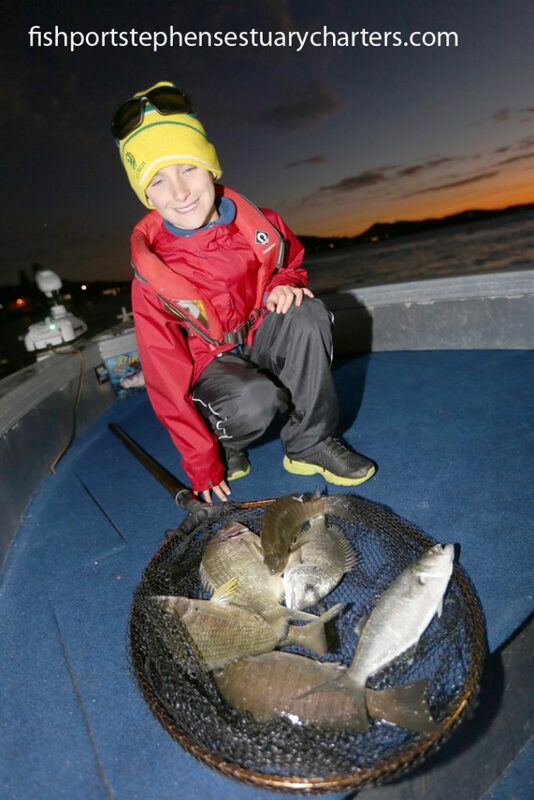 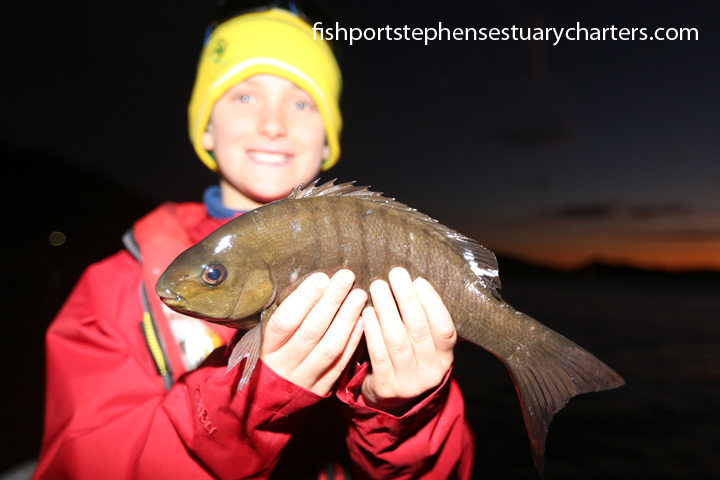 Young Champ Joey and his Dad Darren scored some nice Bream,Luderick and Tailor on there most recent charter.